The German group will buy the rail arm of Invensys for a hefty $2.8 bln – surprising analysts and investors who had soured on the UK group and its pension deficit. For Siemens there’s strategic logic and synergies. For pension trustees, relief. For the Invensys chairman: déjà vu. On Nov. 28, Siemens AG said it would buy the rail business of Britain’s Invensys for about 1.74 billion pounds ($2.8 billion). That values Invensys Rail, which makes rail signals and controls, at about 15 times the 116 million pounds its earnings before interest and tax for the year to March 2012. Of the proceeds, Invensys will pay 400 million pounds into a British pension plan, and place another 225 million pounds into a trust. It will return another 625 million pounds, or 76.7 pence a share, to shareholders, and pay 80 million pounds in transaction fees and taxes. The last 372 million pounds will be used to invest in the business and make acquisitions. Siemens expects to generate annual synergies of more than 100 million euros ($129 million) by 2018. Of these, 80 percent will be cost savings, and two-thirds should be realised by 2016. Siemens expects the deal to create value on an “Economic Value Added” basis after two years, and to generate a 15 percent return on capital in four years. 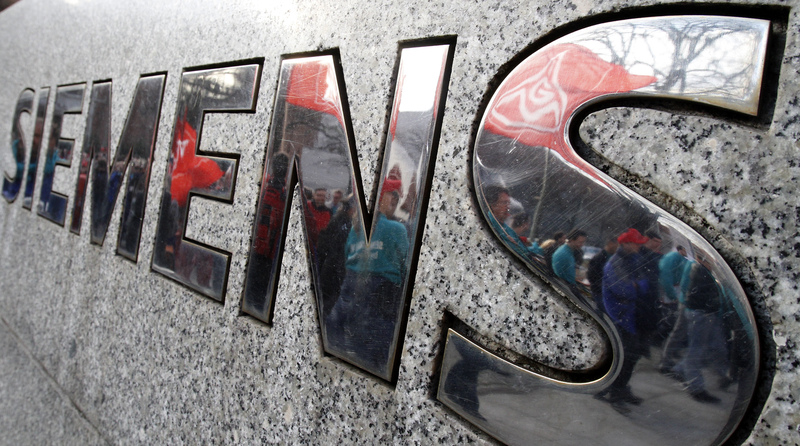 Siemens expects to close the deal, after approval by Invensys shareholders and lenders, antitrust authorities, and Britain’s pension regulator, in the second quarter of 2013. Separately, Siemens will also sell its baggage handling, postal and parcel sorting activities. Shares in Invensys soared late on Nov. 28, after Bloomberg reported a deal was close. By 0827 GMT on Nov. 29 they stood at 315.25 pence, for a 43 percent gain over two sessions. Siemens shares stood at 79.43 euros a share, a 1.3 percent gain over two sessions.